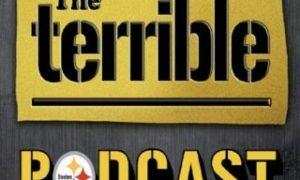 The Pittsburgh Steelers beat the Cleveland Browns 14-3 Thursday night at Heinz Field and here are some of my post game observations after going through the game again. Lawrence Timmons bit hard on the play action on the early long completion to Evan Moore and never recovered in coverage. On the second big completion to Josh Cribbs, Troy Polamalu guessed wrong and Cribbs was wide open on the seam route. It was James Harrison that prevented Colt McCoy from getting into the endzone for the touchdown that was overturned after McCoy was clearly down. Harrison fought off his block to get a foot. Harrison also was in on the 3rd down stop at the 1 foot line. Steve McLendon and Casey Hampton both had great penetration on the play and Larry Foote helped clean everything up. Huge defensive stand. The early play action by Ben Roethlisberger on the end around to Mike Wallace had everyone biting. Great blocking down-field by David Johnson and Antonio Brown on the play. The touchdown pass to Jerricho Cotchery was just Ben being Ben to avoid the pressure allowed by Doug Legursky. Great play calling on that series. Ike Taylor bit on the double move by Mohamed Massaquoi for the big catch on the Browns second drive. Not sure how Massaquoi was not flagged for offensive pass interference on the very next play as William Gay had great coverage on him. Massaquoi pushed him aside. There is no way that the early pass to Brown should have been overturned unless there is an angle we were not shown. Not enough evidence to change that. Bad call. Brown made them pay on the next play against a 2 deep zone. The Hines Ward fumble was just bad ball security. The Steelers really could have put the Browns away on that drive alone. Gay was a beast all throughout this game and had a great pass breakup following the turnover. Troy Polamalu made a great read on the interception and McCoy really was greedy making a throw that was well covered with 3 defenders in the area. The Joe Haden hit on Heath Miller was a good one, but Miller just can\’t put that ball on the ground. Once again a brutal redzone turnover. It looked like Cameron Heyward might have missed his stunt on the 3rd down and long draw play that was good for a first down as Brett Keisel slanted in the A-gap. Foote destroyed the running back on the blitz that lead to the first sack and McLendon was there to split it with him. Marcus Gilbert had a few false start penalties and got an earful from Sean Kugler on the sideline. Jason Worilds never quit on the sack that ended the half and showed good burst on the play. It was bad enough that Chris Kemoeatu held, but he also allowed Roethlisberger to get hit regardless. The offensive line I thought really had a good second half except for Kemoeatu as he was a mess. About the only thing Brown did wrong in the game was he dropped the 3rd and long catch that would have moved the chains. Roethlisberger was not happy with him. The neutral zone infraction penalty on Keisel was garbage. What a bad call. James Farrior really looked like he tried to pull up on the late hit out of bounds on McCoy. Tough call. Rashard Mendenhall is really hitting the holes faster and harder the last few games and looks fresh. Isaac Redman continues to run violent. This might have been the hardest Mendenhall has run all season. The second Kemoeatu penalty negated a big first down to Miller. Luckily that did not kill the drive as the Roethlisberger converted a 3rd and 20 to Brown. Kemoeatu was late to the hole on the counter lead on second down and goal and did not continue through it to take out the linebacker. Of course the Steelers could not punch it in on the next two plays. I really was surprised Mike Tomlin did not take the 3 there after being in the redzone twice before and coming away with no points. Roethlisberger forced the interception throw and was baited into it by Mike Adams. He should have gone to the underneath right. Like it or not, Harrison will likely be fined for the hit on McCoy. If he lowers his head and buries it in his chest, McCoy is still knocked out on the play and Harrison saves some money. It was Harrison however with the deep pressure on the ball that Gay intercepted in the endzone and McCoy had no business throwing that ball. Great back shoulder throw and catch on the final touchdown as Brown was in single coverage with only one single high safety back. Once Haden slipped trying to stop, it was all over. The night was not over for Gay as he made a few good tackles on the final Browns drive that kept players in bounds and the clock running. We can forgive the holding call that negated the Ryan Mundy interception. Worilds capped his good night once again by getting off a block and tracking down McCoy. I thought all of the linebackers really had a nice game and the defensive line certainly had their bright spots. The pressure on McCoy got better as the game wore on.